The "Community Organizer" is at it again. On Oct. 1, 2013, surrounded by a bevy of "gimme free stuff" left-wing hangers-on and supported by political puppet Kathleen Sebelius, head of the Department of Health & Human Services (who oversees the Obama Death Board which Obama smugly denied exists) because he knows that even if every consumer in America carefully perused all 2,409 pages of the bill (before the unelected bureaucracy added thousands of pages of regulations to the version which became law [HR 3962 which is actually a Senate billas is HR 3590] they won't find the Death Board there. Why? Because it was enacted a year before Obamacare. What you will find are two bills purporting to be the House and Senate bills that created Obamacare. Both of them fail the Originality Clause smell test. 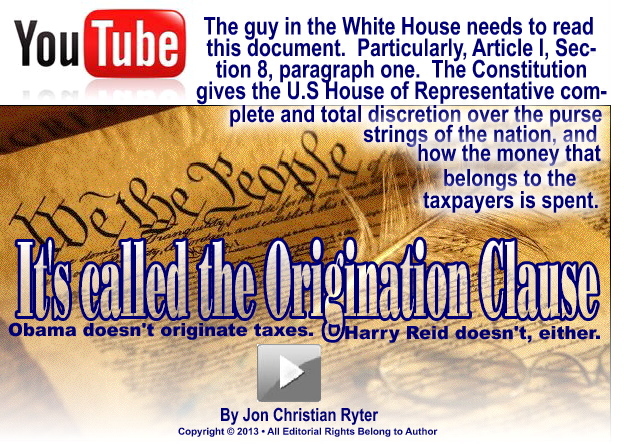 It was never voted on in the House of Representatives where all revenue bills must originate. Don't get me wrong, HR 3590 did get an "up and down" vote in the House. And it was approved. And it was sent to the Senate. But not as the Affordable Care Act. The HR 3590 that was enrolled on Sept. 17, 2009 and passed the House was called the Service Members Home Ownership Tax Act of 2009. It had nothing to do with healthcare. 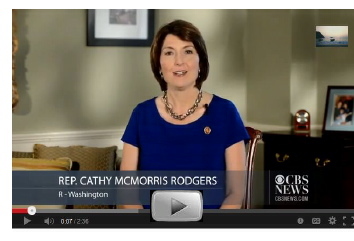 It was a bill to provide service members with a tax credit when they bought their first home. Because Senate Majority Leader Sen. Harry Reid [D-NV] knew when HR 3200 bit the dust, Obamacare was wholly a US Senate project, with no legs in the House of Representatives, which means, as it stood, Obamacare violated the Originality Clause. Using an obscure parliamentarian sleight-of-hand that simply does not erase the unconstitutional nature of the action Reid endorsed, the senator "amended" what was a previously unanimous consent House billHR 3590). As noted, HR 3590 had absolutely nothing to do with healthcare. The Senate amendment gutted all 714 words from the House bill which, of course, total eviscerated the votes cast on the bill since the vote included every Republican in the Housenone of whom would vote for Obamacare. Reid then inserted the 379,976 words found in the Senate healthcare bill, including $675 billion in new taxessomething the US Senate cannot do. The US Senate cannot write a tax bill. Their function is to merely concur on revenue bills which must, constitutionally, originate in the House of Represenatives. As noted by Congressman Trent Franks [R-AZ] Chairman of the House Judiciiary subcommittee on the Constitution and Civil Justice, the only part of Obamacare that originated in the House was the bill numberHR 3590. Not a single House GOP member voted for this partisan and unconstitutional takeover of the US heathcare system. In point of fact, not a single House member in either party voted on HR 3590 until after the Senate version of Obamacare, HR 3962, was enacted in the Senate. That means the Affordable Care Act was never constitutionally enacted which also means it is not the law of the land. House Speaker John Boehner knew that when the Supreme Court asked the House and Senate to document that Obamacare originated in the House. HR 3590 was presented as that documentation. 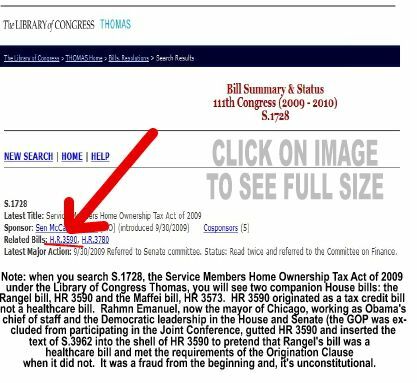 The fact that HR 3590 was proffered as the Service Members Home Ownership Tax Act of 2009 was scrubbed from the Internet search engines as best it could, but when you ask the search engine the right thing, it pops up. Obama wants you to believe that his battle with the GOP-controlled House is sour grapes over his signature piece of legislationObamacare. It isn't. Obama began his community organizer rant on Oct. 1 by saying that "...for the first time in 17 years the Republicans in Congress chose to shut down the federal government." That statement couldn't be further from the truth. You would know that if you've been paying attention to the goings-on on Capitol Hill. Obama needed to make the budget battle about Obamacare because Obama and the Democrats have not produced a single annual budget since...well...never. Oh, and by the way, the Constitution, under Article II, Section 3 (reinforced by federal law) requires that the president to present to Congress, for its consideration, the financial measures he judges necessary and expedient to keep the nation solvent. The budget must be approved by the House of Representatives. Not the Senate. In other words, if Senate Majority Leader Harry Reid doesn't like House Speaker John Boehner's budget he can't throw it away and write his own. That's how we got the Obamacare mess in the first place. 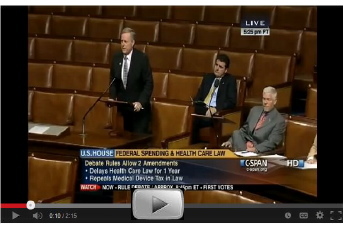 Harry Reid didn't like the first House proposed healthcare act, HR 3200. When it showed up, knocking at the door of the Senate, Reid wouldn't let it in. Instead, the Senate wrote HR 3962 a year later and palmed it off as a House bill. Allow a pseudo-dictator in the White House and anything unconstitutional and illegal is possible. 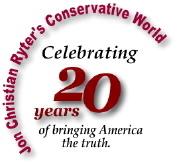 Since the communist thinking which prevailed in both the House and Senate in 2009 did not view the "fine" assessed by the IRS for not participating in Obamacare as a "tax" or any other form of "revenue" that required HR 3962 to be introduced in the House, Reid and then House Speaker Nancy Pelosi didn't see anything wrong with the Senate introducing a House bill. That changed when the Individual Mandate in Obamacare was challenged in the US Supreme Court as unconstitutional by 26 States. Congress chose to conceal the violation of the Originality Clause violation by not challenging the constitutionality of the Reid-Pelosi shampassing HR 3590 off as the original House-enacted Affordability Care Act when it never was a healthcare bill. Since there is absolutely no provision in the Constitution that gives either Congress or the Executive Branch the right to fine Americans for not buying something, the Supreme Court had to find Obamacare unconstitutional on its face, and kill the impetus that would fund Obamacare. The day before the high court ruled on June 28, 2012, Chief Justice John Roberts was aligned with Associate Justices Anthony Kennedy, Samuel Alito, Antonin Scala and Clarence Thomas who voted that the individual mandate was unconstitutional and, for that reason, the law as it was written was also unconstitutional. The high court held the view that since Congress had no authority to force the American people to buy insurance, Obama could not fine those who declined to do so. Therefore, Roberts surmised, what was viewed by Congress as a fine was actually a form of taxation. Changing the fine into a tax levied only against those who failed to purchase Obamacare is still a fineregardless if that fine is called a fine or a tax. It doesn't matter by what name the fine is called since it's levied only against those who fail to buy Obamacare. Constitutionally, taxes in this country must be uniformly levied against all classes of people with, of course, degrees of punitiveness. Not even Chief Justice John Roberts can arbitrarily rewrite the law of the land. He can send the law back to Congress to fix, but he lacks the statutory authority to rewrite it himself. Which is precisely what he did since he, like the community organizer in the White House, knows that as long as the GOP controls the House, Congress will never be able to re-enact the nightmare they sleepwalked into law on March 23, 2010. Furthermore, the Constitution of the United States contains no provision that allows the government of the United States to arbitrarily euthanize or otherwise deny American citizens medical treatment or lifesaving medicines simply because they have outlived the outdated actuarial charts upon which Social Security benefits are based. Which, of course, is precisely the reason every nation on Earth with a government-funded old-age pension has a healthcare system. The purpose of the Obama healthcare system is ultimately not to prolong the life of the elderly, it's to end those lives in order to stop the revenue drain caused by those who live too long. Which was precisely Obama's logic in 2009 when he argued with Republicans who opposed a national healthcare system saying it would bankrupt the Social Security system. Obama insisted (without explaining how) that a national healthcare system would, by itself, fix Social Security. According to the International Monetary Fund, when George W. Bush left office on Jan. 20, 2009, the national debt (as of 12/31/08) was $10.8 trillion. When Bush-43 assumed the White House, the national debt was $5.6 trillion. The public debt grew $5.2 trillion on Bush-43's watch, or about $700 billion per year for the 8 years he was in office. Obama inherited a public debt of $10.8 trillion, but his penchant for spending someone else's money quickly multiplied the debt. In one term Obama spent just a hair less than $4 trillionor a trillion dollars per year with absolutely no growth to the economy. One year into a second term, the US debt stands at $17.556 trillion, or $6.752 trillion in five years. Obama has frittered away $1.35 trillion a yearmore than any president in history. When Franklin D. Roosevelt assumed the White House in March, 1933 the national debt stood at $22.539 billion. At the end of fiscal year 1944 (he died on April 12) the national debt was $226 billion. Roosevelt served for 16 years, four months and 12 days. His average annual debt was $14 billionand he financed a two front war for four of those years. In one year, Obama outspent the combined spending of Roosevelt, Harry S. Truman, Dwight D. Eisenhower, John F. Kennedy, Lyndon B. Johnson, Richard M. Nixon, Gerald Ford, and Jimmy Carter. It would be the third year of the Reagan Administration before those nine presidential administrations spent in 50 years what Obama proved he could spend in one year. Now you tell me. Does Barack Obama really think the budget battle he is waging with the Republican-controlled House of Representatives is just about sour grapes over Obamacare? Nope. It's about fiscal responsibility. It's about spending what will amount to $2.7 trillion more than the $185 billion in funding Obamacare currently has. Here's Speaker Boehner's Sept. 30, 2013 "prequel" to Obama's October 1 speech accusing the GOP of being on an ideological crusade, and of shutting the government down to prevent Americans from getting affordable healthcare. "The American people," Boehner said, "do not want to shut down the government. Neither do I. I didn't come here to shut down the government. I came here to fight for a smaller, less costly and more accountable federal government. But here we find ourselves in this moment dealing with a law that's causing unknown consequences, and unknown damage to the American people and to our economy. And that issue is Obamacare." He pointed out that, overnight, Obamacare (HR 3962) was 2,300 pages that no one had ever read (now expanded to 2,409 pages in HR 3590 that not only had no one read, but no one voted on) that's "...having all types of consequences for the American people. Our constituents are having all kinds of consequences...Over the last year or so, the last couple of years [Mr. Obama] has given his friends and the labor unions some eleven hundred waivers to this law. This summer, [Obama] decided we're not going to enforce the employer mandate. Big employers around the country are all upset about having to make sure they provide healthcare for their employees...The result of all of this is you've got employers all over the country who can't hire people because they are cutting the hours of workers..." so they didn't have to pay for the healthcare of their employees. "It's having a devastating affect. Something has to be done. So, my Republican colleagues and I thought we should defund the law for a year. We thought we should delay it for a year. Our friends over in the Senate don't want to go down that path. I'll tell you this. This is an issue of fairness. How can we give waivers and breaks to all the big union guys out there? How do we give a break to all the big businesses out there? And, yet stick our constituents with a bill they don't wantand can't afford! That's what this fight is all about! I talked to [Obama] tonight," Boehner said. "Obama said, 'I'm not going to negotiate." Boehner continued, "I will say this to [Mr. Obama]. It's not about me. And, it's not about Republicans. It's about fairness for the American people. Why don't we make sure every American is treated just like we are...This bill is very simple. It funds the government. And, it says let's treat our constituents fairly. No more mandates that you have to buy a trip that you can't afford. No more mandates to members of Congress that gives them so called exemptions. Those are the only two issues to choose here. All the Senate has to do is say 'yes' and the government is funded tomorrow. Let's listen to our constituents, and treat them as we would want to be treated." To obfuscate the real issue in the budget talksspending more money than the United States can afford to spend to create a communist global infrastructureObama wants America to ignore his record of spending more in one year than nine presidents who, by the way, financed World War II, the Korean War, and the Vietnam War, collectively spent in half a century. Budgets and debt ceilings are always about spending. Explain how, when the House of Representatives passed a bill to suspend the individual mandate in Obamacare (which the Supreme Court ruled was an unconstitutional exercise of power) that ruling was somehow lost in the crescendo of Chief Justice John Roberts finding that Obama's "fine" for not participating in Obamacare was actually a tax. Somehow that blurred distinction has still allowed the IRSstill calling it a "fine"to force all Americans to pay for Obamacare even if they have decided to opt out of the program. When the House passed a short term, stopgap bill to fund the government on September 28 with a vote of 230 to 189, in their mind this would shape up as a fight over raising the debt ceilingwhich, since Ronald Reagan's initial budget battles with Tip O'Neil from 1981 to 1984 is traditionally a battle that happens every three to five years. In Obama's case, it's an annual event. To the Tea Party advocates, the real life and death issue is Obamacare because while only 13% of the population is 65 or older, in raw numbers there are 40,300,000 very vocal "silver citizens"with aging women outnumbering their male counterparts. Depending on which page of the AARP website you look at, the organization claims to have anywhere from 38 to 40 million members. The senior vote is so important to the Obama Administration that in Obama's pre-government shutdown strategy meetings the targeting of seniors to turn them against the Republicans was an exigent part of Obama's plan. Which is why Obama appears to be determined to keep the government shut down as long as he can. He wants to make sure, when he declares the shutdown is over, that the only Republicans left on Capitol Hill are on the janitorial staff. In the current budget battle for a budgetary blank check and a ceilingless debt limit Obama has argued that the Republicans are holding Obamacare at ransom, refusing to fund the government unless that government defunds or dismantles Obamacare. "They shut down the government," Obama said in his staged photo op, "over an ideological crusade to deny affordable health insurance to millions of Americans." Okay...let's stop here for a moment and listen, first to one of those Americans who got online to apply for "affordable healthcare" for his family. The words that follow are his words. Take them to heart because the next time you read them will likely be in a email communiqué and/or a formal letter from the DHHS or the IRS when you decide the new healthcare system is unaffordable for the average working class family.